A unique beach front property in Hermosa Bay, a high-end boutique eco-lodge with personal service. This is the perfect beachfront getaway if you are looking for peace, privacy and romance. 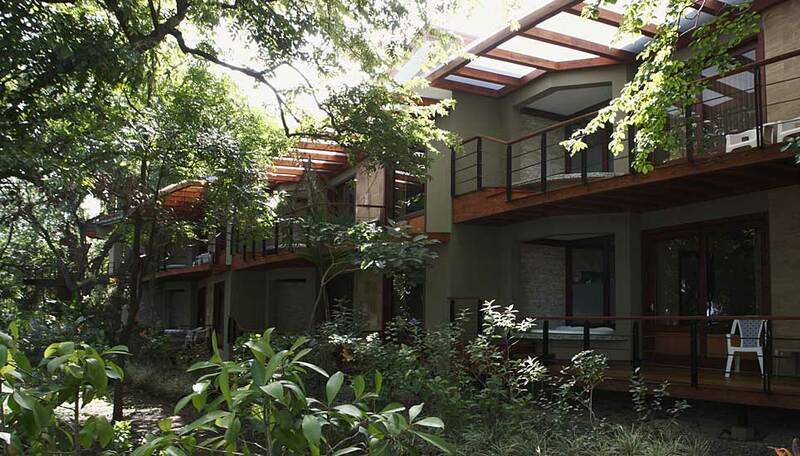 This upmarket eco-lodge has everything you might need. The décor is uncluttered and tasteful with wood and marble featuring strongly, it adds to the elegance. With just 32 suites and 3 penthouse suites it won’t get overcrowded here, whether you are lounging on the beach or by the shady pool. 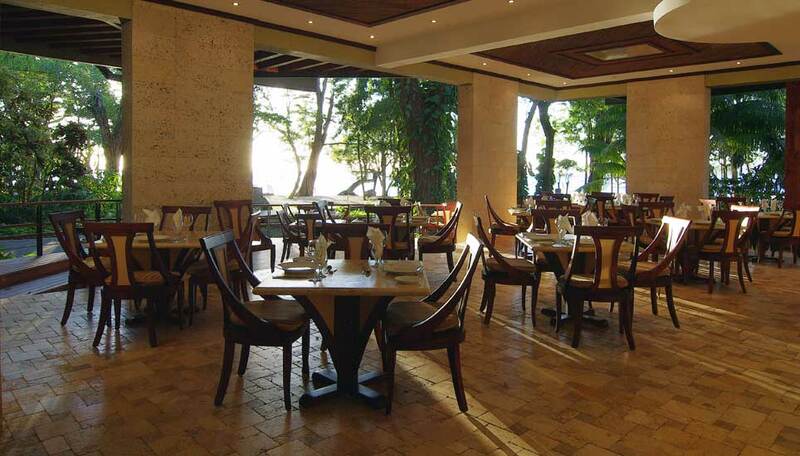 The spacious open air restaurant serves Costa Rican food with an international slant. There is a strong emphasis on fresh fish and seafood, being this close to the ocean, but there are also plenty of other excellent dishes on offer. The upstairs bar benefits from ocean breezes, a cool place to relax and sample a cocktail or two. 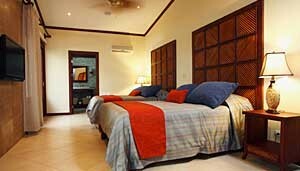 Why go to Bosque del Mar hotel? 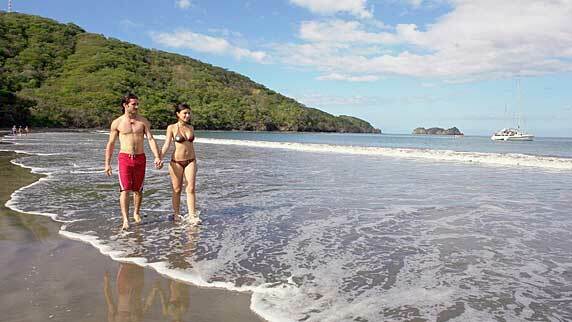 Located on Hermosa Bay, Playa Hermosa is a pristine beach known for being peaceful and uncrowded. 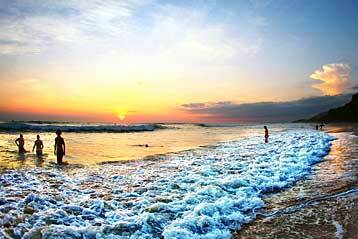 Bosque del Mar is at the southern end of the beach and is quieter and even more deserted. 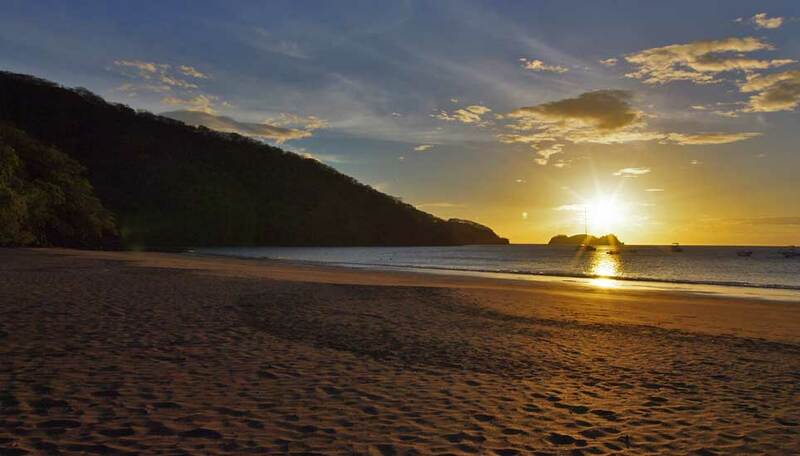 This beautiful beachfront property makes a great base for some of the national parks located inland, a short distance away – Rincon de la Vieja, Santa Rosa and Palo Verde – then return home to the lodge, relax and enjoy a sensational Pacific Ocean sunset. Bosque del Mar was designed with nature in mind and as many trees and plants as possible were left undisturbed during the building of the lodge. This, plus a careful selection of new plants provides a great low maintenance tropical garden, home to many birds, lizards and frogs. The jungle style natural gardens are also a firm favourite with iguanas and howler monkeys. The birds are a highlight especially during the early morning or late afternoon. Tours desk and scuba diving center. Accommodation is free of charge to children under 10. Max. 2 children per room. 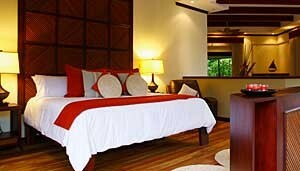 Direct dial telephone in rooms and WIFI internet throughout the property. Information about peak and low season. Low season: 1st May to 31st December. Peak (High) season: 3rd Jan to 30th April. Holy week is Super Peak season. Less than a minutes walk from the beach, the Junior Suites are a great choice for families, every two rooms are inter-connected by a door on the terrace, so you can be in touch and close enough if you are travelling with friends or family but still keep your privacy and own space. 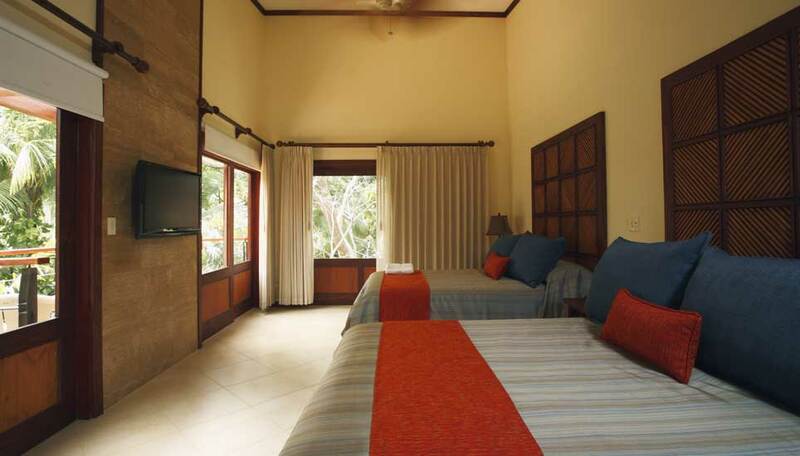 Steps away from the beach, the restaurant and the swimming pool and with a really close-up view of the tropical gardens, the Garden View Suites offer a spacious bedroom with 2 queen beds, a large bathroom and a living room with a comfortable sofa bed. Right in front of the beach we have the Ocean Front Suites, featuring a bedroom with 2 queen size beds or a king size, a comfortable living room with mini bar and a sofa bed. A private wooden terrace offers amazing views with a great open air jacuzzi exclusive to each suite. 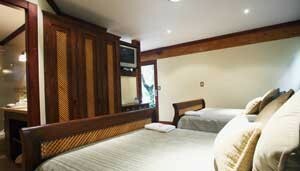 The Penthouse facilities offer sophistication and comfort, on the third floor of the hotel´s main building. Featuring a master bedroom suite, and an additional room. Two suites have a kitchen, living room, beach front terraces, open air jacuzzi and games hall, this floor is available to rent as a whole or as separate suites.